A cross facility database is under development, this can be found here or by clicking on the image below. Please feel free to contribute by registering and adding ionization schemes that have been tested. 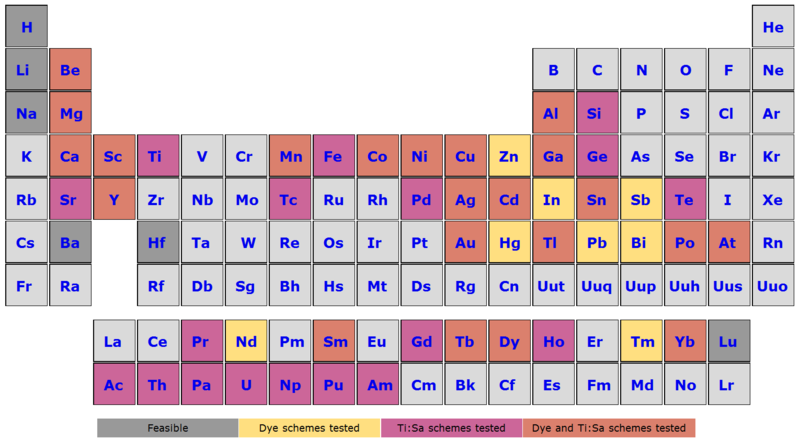 For each scheme there is a 'notes' section: This can be used to give additional useful details such as saturation levels and to indicate scan ranges that have been covered in a search for auto-ionizing states.